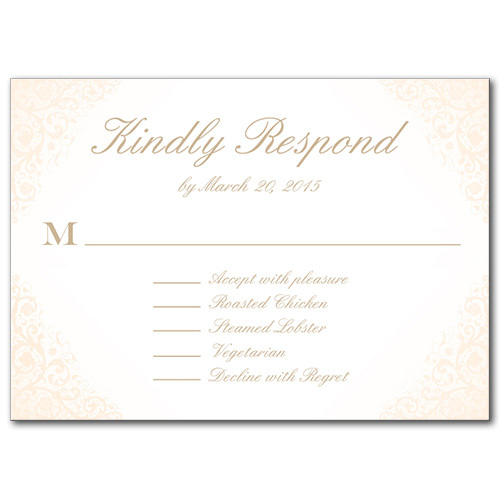 The Blushed Rose response cards are elegant in their simplicity, making them ideal for spring and summer nuptials. Muted floral designs adorn each corner, while your personalized message takes center stage in your choice of wedding fonts. With such a beautifully simple design, this card works well for any number of spring wedding themes. Blushed Rose Response Card For the best experience, we recommend personalizing your stationery on a desktop computer.